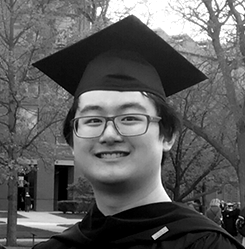 Shengjie Yao is a 2017 graduate of the master’s program in New Media Management and currently pursuing a second master’s program in Media studies at the S.I. Newhouse School of Public Communications at Syracuse University. As a new media enthusiast, he has worked as PR assistant for GreenTree hospitality group and Med-X Research Institute of Shanghai Jiao Tong University. He is currently a research intern in the MIND lab at Syracuse University.